"Practicing winter holiday safety is extremely important," said Robert Emmons, campus safety manager at the University of Alabama at Birmingham. "It's key to remember some basic safety tips to keep you and your family safe this season," he said in a school news release. The American Red Cross recommends keeping Christmas trees, decorations, wrapping paper and other flammable objects at least 3 feet away from fireplaces, radiators, space heaters, candles and heat vents. Heat sources too close to Christmas trees cause 1 in 4 winter fires, according to the U.S. Fire Administration. The agency notes that unattended candles cause 2 out 5 home-decoration fires, while home electrical problems start 1 in 4 Christmas tree fires. 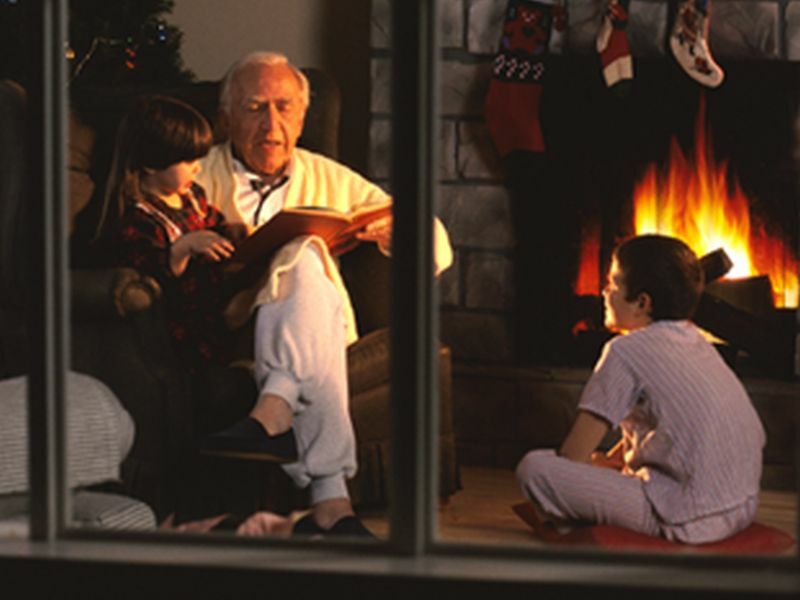 It's best to buy a flame-retardant metallic or artificial tree, the Red Cross says. If you prefer a live tree, choose one with fresh, green needles that don't break easily. Water trees often to ensure they don't dry out. Avoid using candles, but if you do, keep them at least 12 inches from anything flammable and 3 feet from your live Christmas tree, the fire administration advises. When cooking, keep anything that can catch on fire -- such as pot holders, wooden utensils, paper or plastic bags, food packaging and towels -- away from stove tops and ovens, safety experts say. Also, always keep an eye on things in the kitchen. Unattended cooking is the leading cause of kitchen fires, according to the National Fire Protection Association. "If you're sleepy or have consumed alcohol, don't use the stove or stovetop," Emmons said. "Plus, always stay in the kitchen when you're cooking food; if you leave the kitchen at all, be sure to turn off the stove and move anything that can catch fire away from it." Space heaters are another potential fire hazard. They're involved in nearly 80 percent of fatal home fires, according to the association. Nearly half of all space heater fires involve electric space heaters. Be sure electric heaters have automatic shut-off tip-over protection, and always plug them directly into a wall outlet, rather than an extension cord. Unplug them when you leave a room or go to sleep.